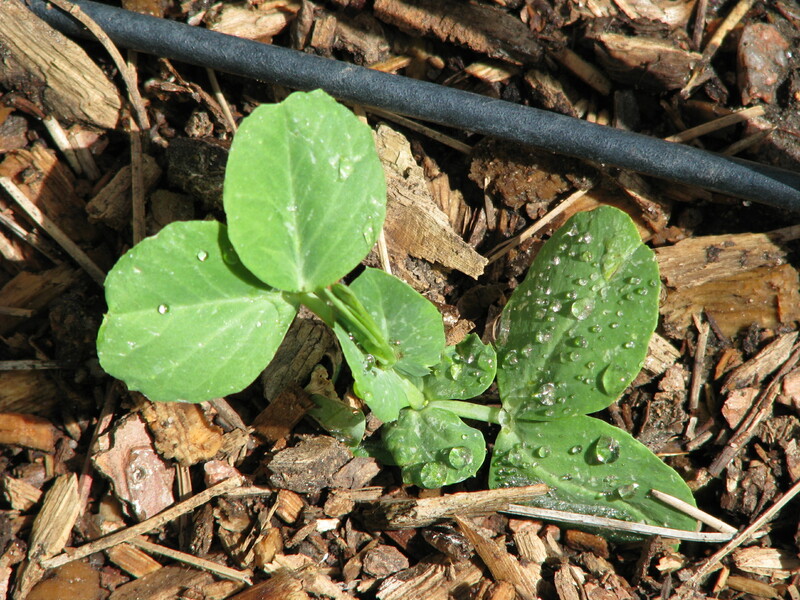 A snow pea seedling, dwarfed by the trellis. Annual cycles come in every variety, and my yearly gardening procrastination routine is well underway. Every year, in the doldrums of “spring” promise during March and April, I vow that THIS YEAR I’ll get the garden put together in a timely fashion. This pledge seems eminently reasonable in those months when the weather is too cold and unsettled to do anything other than fantasize about growing things. I’ll get seeds started inside, I think to myself, six to eight weeks before the last frost, just like the seed packets advise. I’ll tuck the seeds for early season crops in chilly soil, well before the rest of the garden goes in around Memorial Day. I’ll get the pots planted up with bright bedding plants while they’re still in the greenhouse, so they can settle in and fill out before I haul the pots up to the decks to grace our outdoor spaces with color and botanical perfume. 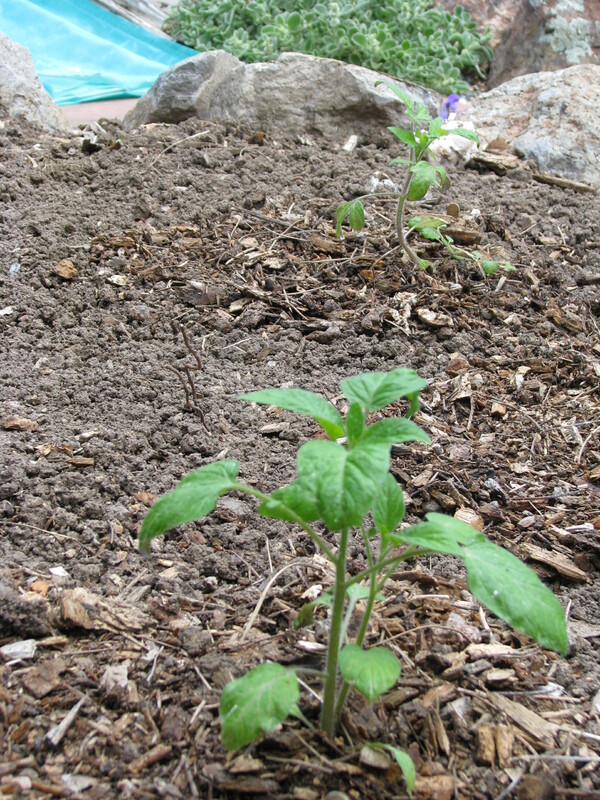 Young tomato plants, settled in for the summer. I’ve yet to hit all those goals. May inevitably brings a pileup of chores or travel, and I wake up one day realizing that I’ve once again managed to shorten our already-stunted growing season by planting the garden later than I should. I berate myself for my procrastination. Still, the garden almost always forgives. And it may be that the eagerness of plants to embrace their destiny and simply GROW is what allows me to harbor my secret theory: that delay and inefficiency pay off about as often as they trip me up. In third-case scenarios, I suspect, the results are a wash. This year’s garden will be a mash-up of proactive enthusiasm and “I am late, I am late.” I got my act together enough to start some seeds in early April. The squash was a total bust and the eggplants are sickly, but I ended up with seven nice tomato plants. I didn’t kill them while hardening them off, as is my usual habit, and they appear to have survived transplanting, too. These are all short-season seed varieties I got from Penn Parmenter, so I’m hoping their Siberian vigor is a good match for my high-altitude location. I also got some early season crops planted, well, early. 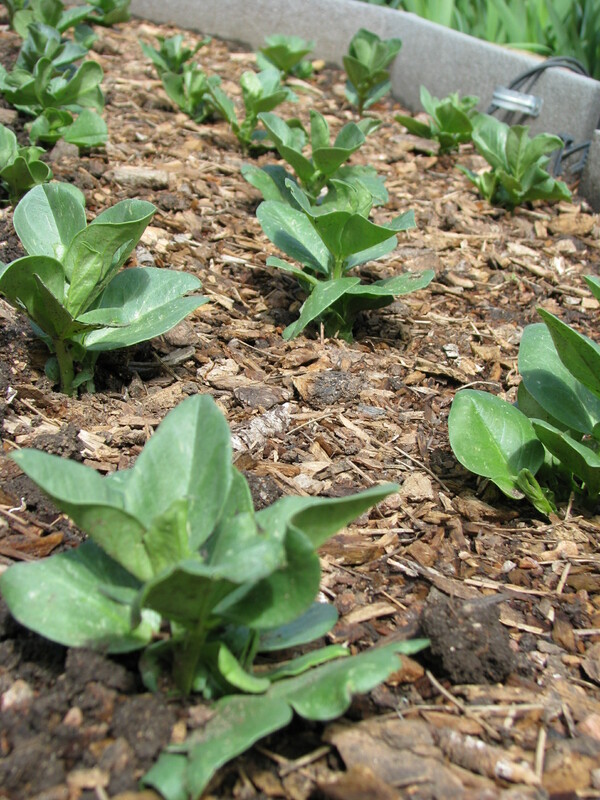 Pea, fava bean, and Brussels sprout seeds went in the ground at the end of April. Frequent (and I do mean frequent) rain kept the seed beds wet with no effort on my part. The weather was so cold, however, that I was beginning to think my industriousness would actually be punished. When there were no visible signs of life in the pea patch or the fava rows after almost four weeks, it was looking like the advantages of procrastination would be proved. 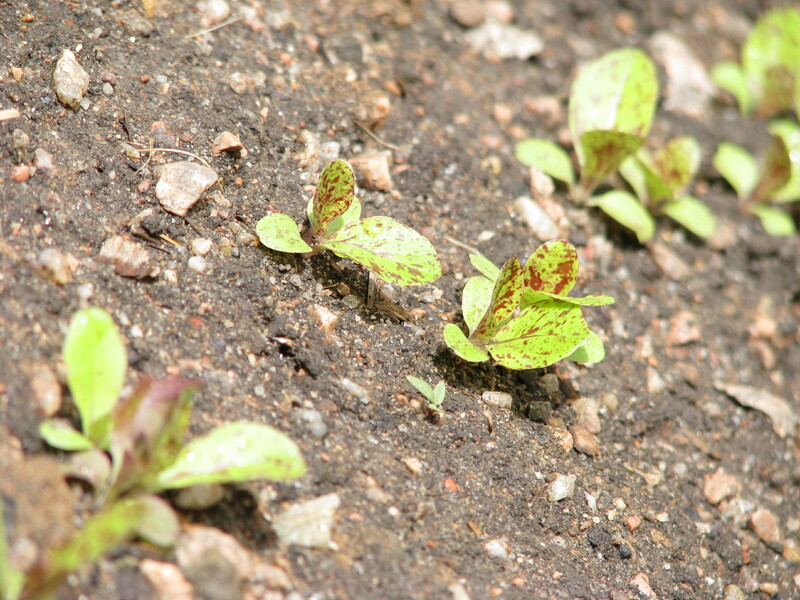 The sun finally came out in early June, and bright folded leaves soon broke the surface of the soil. The plants are now vigorously making good on their head start. The lettuce, beets, and onion sets I planted a few weeks later are also up, although not yet running. For everything else—for the carrot, chard, bok choy, bush bean, and mustard green seeds; for the seed potatoes that have been sending out their hopeful sprouts for weeks already; for the flowers for the pots and the replacement squash plants I have yet to buy—it’s business as usual. Memorial Day came and went. A week passed, and then another. Once again, I’m hustling to get everything done before the middle of June rolls around. Enthusiastic fava beans, already scarred by hail. I always watch the garden develop with hungry interest, but I’ll be paying special attention to the tomatoes and peas this summer. If they flourish, they’ll be doing more than just cheating a couple of growers down at the local farmer’s market out of a few bucks: they’ll be scoring points in favor of go-getter-hood. Not that I’m rooting against the crops that got a timely start, of course. I’d be a fool not to welcome another bumper crop of snow peas and homegrown tomatoes for salads and homemade salsa. But I’ll be watching those carrots and potatoes with just as much interest. I’ll be cheering all those late-planted plants on in hopes they’ll support my theory that, in gardening at least, the penalties for procrastinators are light. This entry was posted in gardening, procrastination, weather and tagged Penn Parmenter, spring planting, starting seeds, tomato plants. Bookmark the permalink.